All Flaterrifics Packs in One, Save 24%, Get Them All. 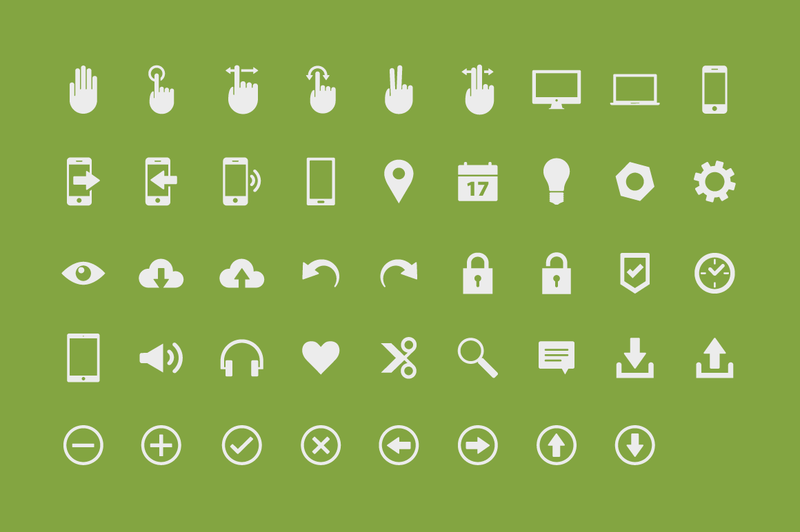 The pack contains 150+ and 30+ simple one shape glyphs. All in vector .ai format, .eps format, .ai legacy files, a .psd is also available for the classic version. Very easy to resize, edit and use. Also included as a bonus 3 extra color versions of the entire set, an outline/stroke one, and usage examples. 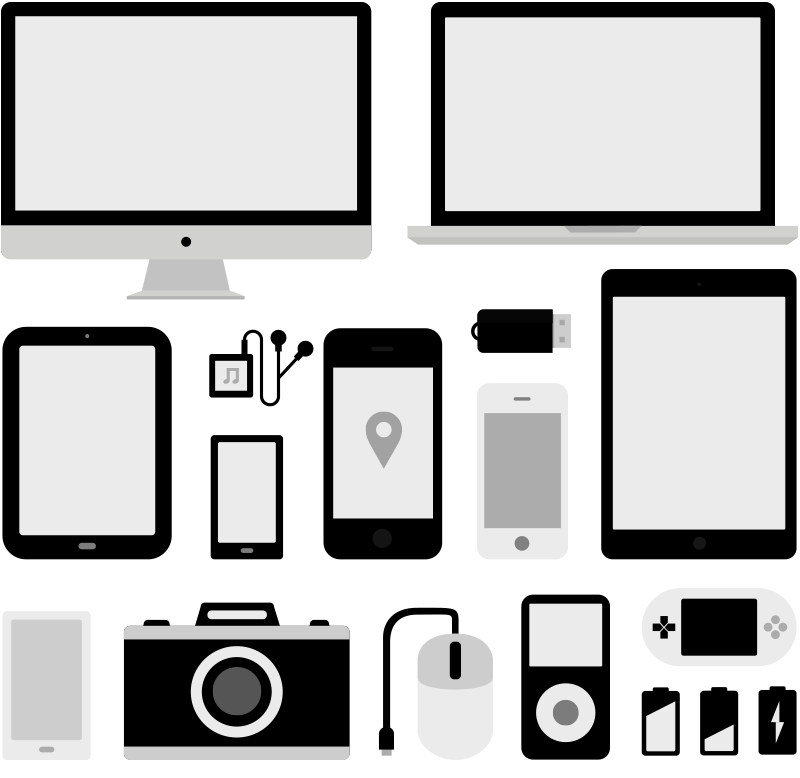 Set includes generic use icons, devices illustrations, ecommerce elements, office elements, design related icons, UI elements, laboratory icons, touch gesture icons and more. Included are: IMac, MacBook, Music Player, Ipad, Iphone, Camera, Mouse, Ipod, Handheld Game, Batteries, Phone, Tablet. Included are two windows, one with browser functionality one without. You can mix and match these with other glyphs/icons. Included are: Cart, Lock(s), Truck, Sign Open, Sign Open Soon, Gift, Credit Card, Wallet, Shield, Tag, Basket, Dollar Bill(s), Truck Front, Clock, Carrier and more. 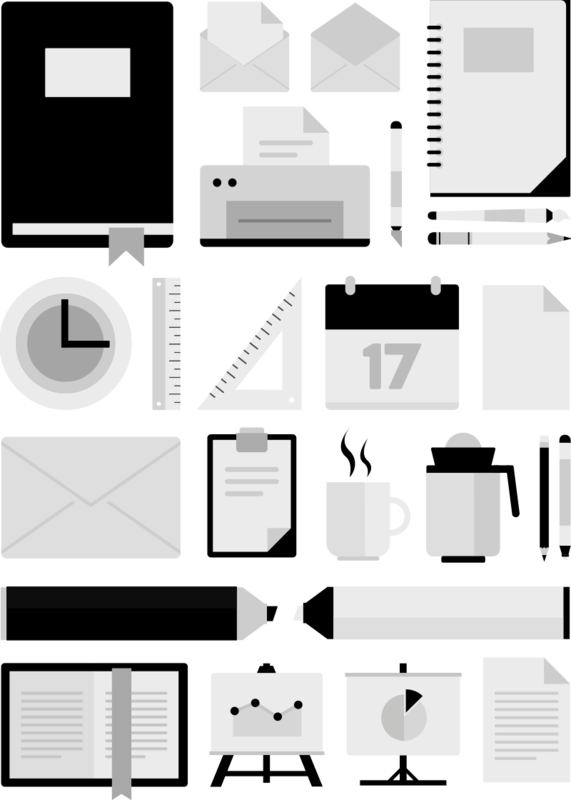 Included are: Book, Envelope, Envelope Open, Notes Book, Printer, Paintbrush, Pencil, Ruler(s), Wall Clock, Envelope with Paper, Clipboard, Coffee, Coffee Pot, Marker(s), Open Book, Whiteboard Pie Chart, Whiteboard Graph, Paper, Calendar and more. 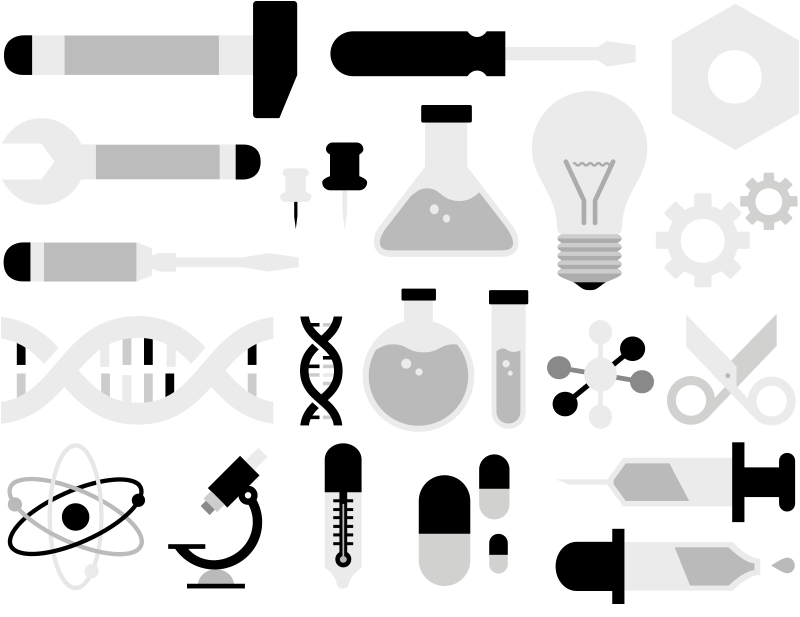 Included are: Hammer, Screwdriver(s), Wrench, Pins, Flask(s), Lightbulb, Gear(s), Cog, DNA, Molecule, Scissors, Atom, Pills, Seringe, Pipette, Thermometer, Microscope. Included are: Camera, Speedometer, Watch, Magnifying Glass, Coffee to Go, Big Paint Brushes, Clipboard, Clock, Eye, Paint Can, Map, Briefcase, Shovel, Flower, Mixer, Headphones, Microphone, Pot Seeds, Speaker and more. Included are: Directory, On Switch, Off Switch, Clouds, Secure Directory, Secure Sign, Hard Drive Upload, Hard Drive Download, Speech Boxes, Plus, Minus, Check, Close, Arrow Left, Arrow Right, Arrow Up, Arrow Down and more.  Included are: IMac, MacBook, Iphone, Ipad, Gesture(s), Combo: Iphone + Gesture, Combo: Ipad + Gesture, Phone Transmitting. 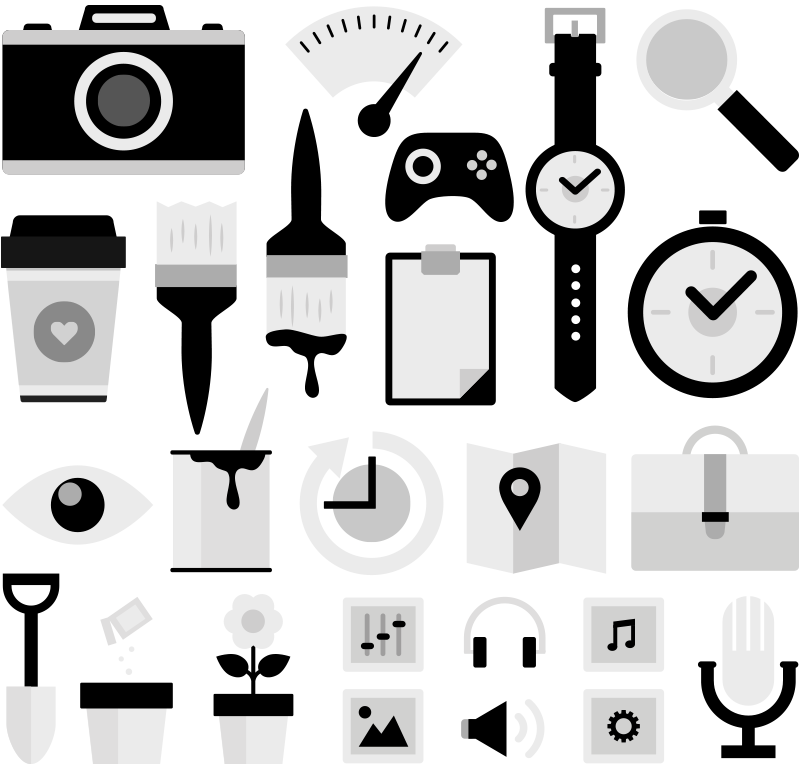 Included are: Clock, Map Pointer, Gesture Two Fingers, Cog, Gear, Scissors, Heart, Touch Gesture, Magnifying Glass, Around the Clock, Refresh, Star, Hand, Camera, Calendar, Lightbulb, Book, Hammer + Wrench, Timer, Speech Bubble, Eye, Cloud Upload, Cloud Download, Back, Forward, Lock(s), Upload, Download and more. Also available for purchase on Creative Market. 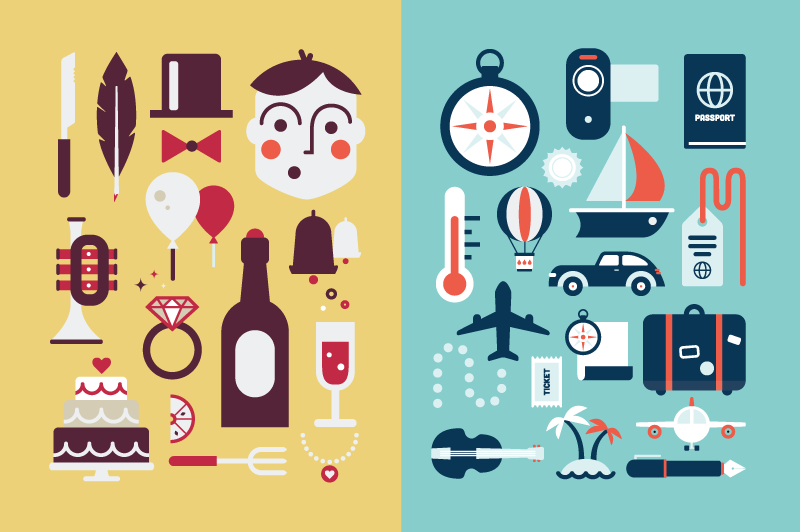 70+ wedding and travel icons, with the same style as Flaterrifics. Included are the basic black/gray tones classic set and 2 other colored versions, all files in .AI file format, .PDF, .EPS, and .AI legacy files for compatibility. 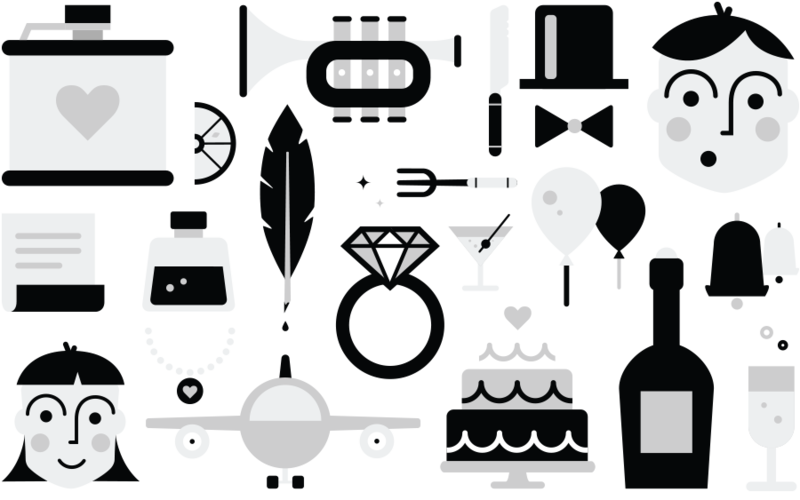 Included are: Flask, Trumpet, Knife, Hat, Bowtie, Lemon, Feather Pen, Fork, Baloon(s), Bell(s), Paper Curled, Ink Bottle, Diamond Ring, Martini Glass, Head Man, Head Woman, Plane, Cake, Bottle, Glass and many more. 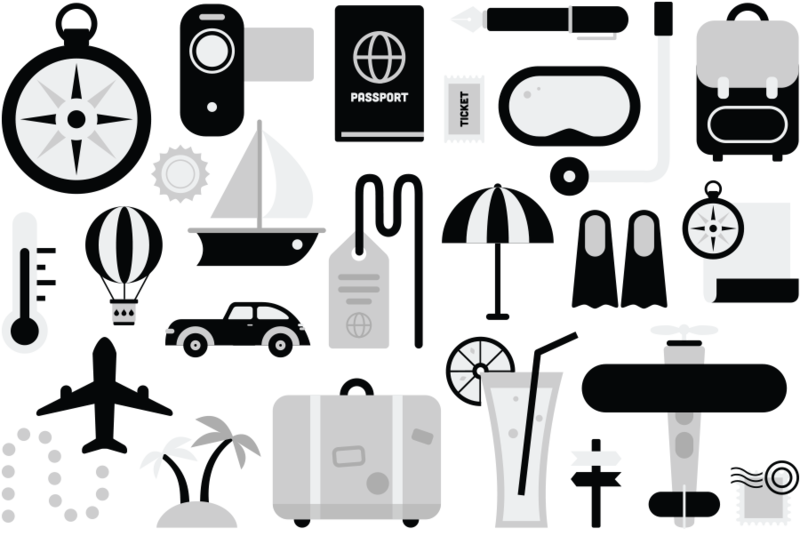 Included are: Compass, Video Camera, Passport, Pen, Backpack, Sun, Boat, Ticket, Scuba Gear, Thermometer, Balloon, Car, Tag, Umbrella, Compass Map, Plane, Palms, Luggage, Cocktail, Directions, Old Plane, Stamp and more. 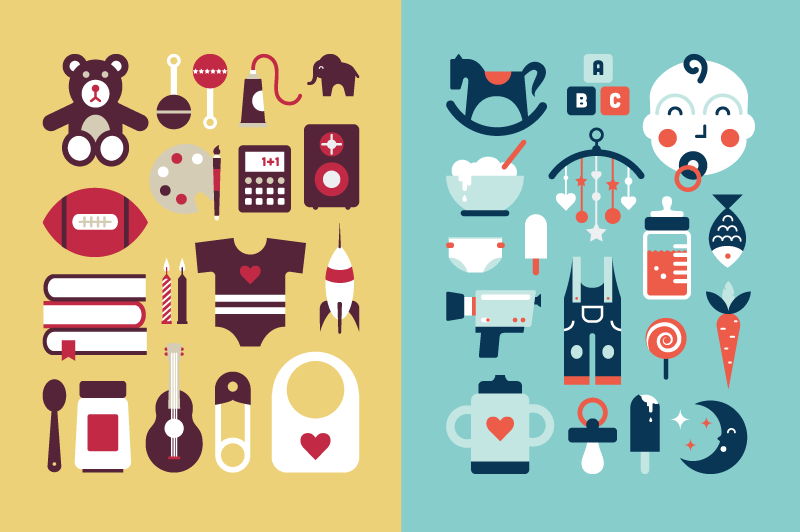 70+ icons kids and babies related, in the same style as the original set Flaterrifics. Included are the basic black/gray tones classic set and 2 other colored versions, all files in .AI file format, .PDF, .EPS, and .AI legacy files for compatibility. 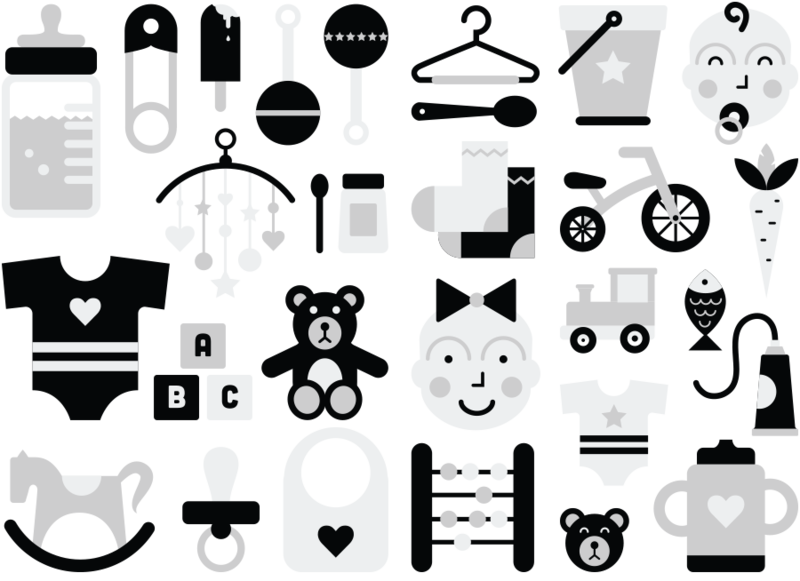 Included are: Bottle, Pin, Icecream, Shaker(s), Spoon, Bucket, Baby Boy, Dreamcatcher, Socks, Tricycle, Carrot, Teddybear, Clothing, Fish, Horse, Train, Letter Cubes, Formula, Toothpaste and many more. 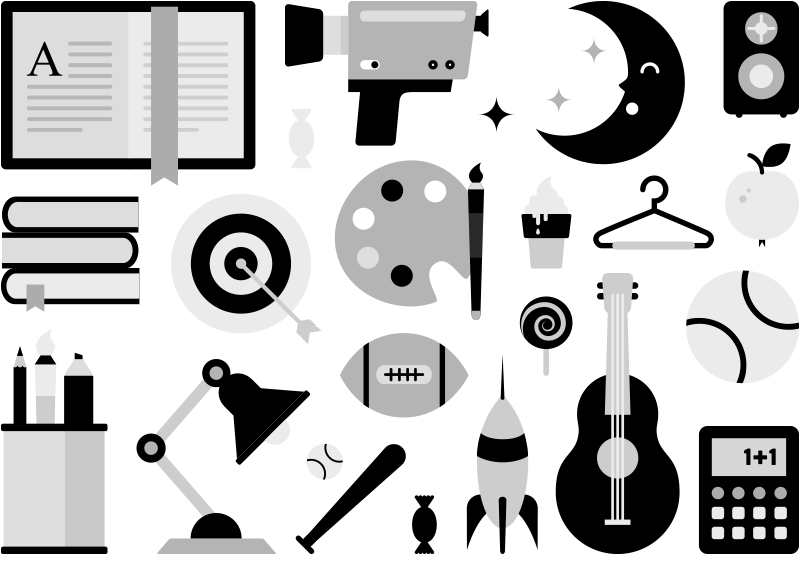 Included are: Open Book, Candy, Camera Super8, Moon, Speaker, Books, Target, Paintbrush, Icecream Cone, Coathanger, Apple, Lamp, Baseball, Baseball Bat, Rocket, Guitar, Calculator and more. All Packs in one, Get them and Save 24%! You get the base pack with all the contents and bonus files, and the 2 great addon packs, also with all the bang an whistles. 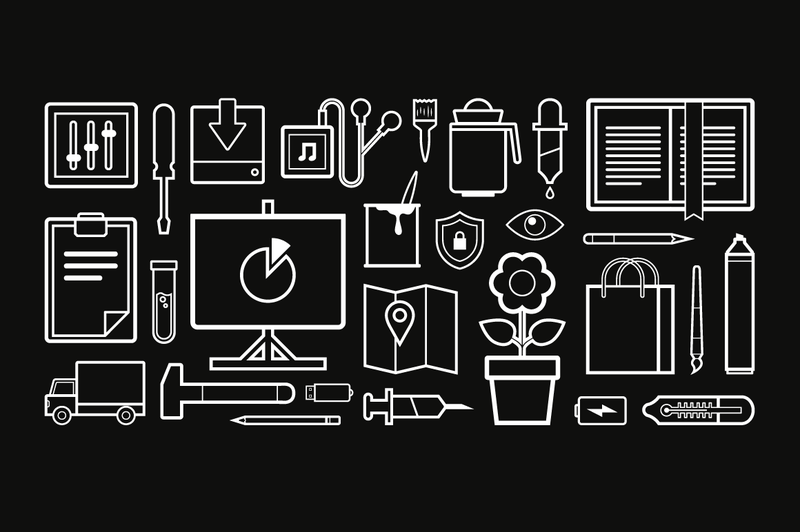 That's 290+ unique icons and illustrations, and 30+ glyphs to have fun with. Grab them now and SAVE 24% on it. 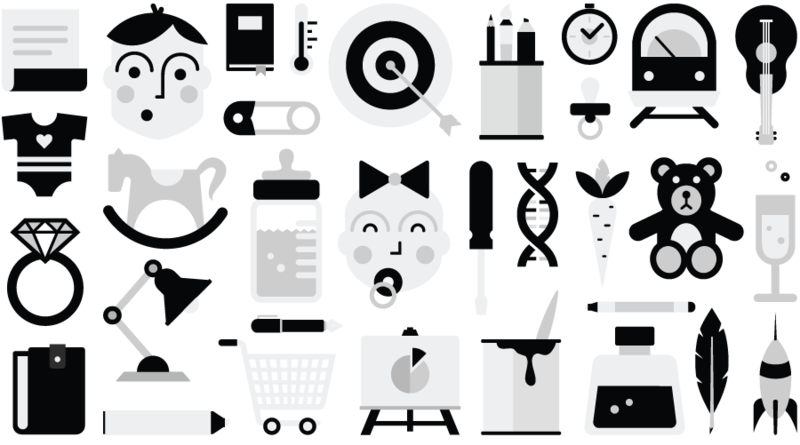 The SimpleLicense gives you the right to use any item purchased on this website in a personal or commercial project for yourself or a client, but the item cannot be resold or redistributed on its own, or used in a product offered for sale where the item contributes to the core value of the product being sold. 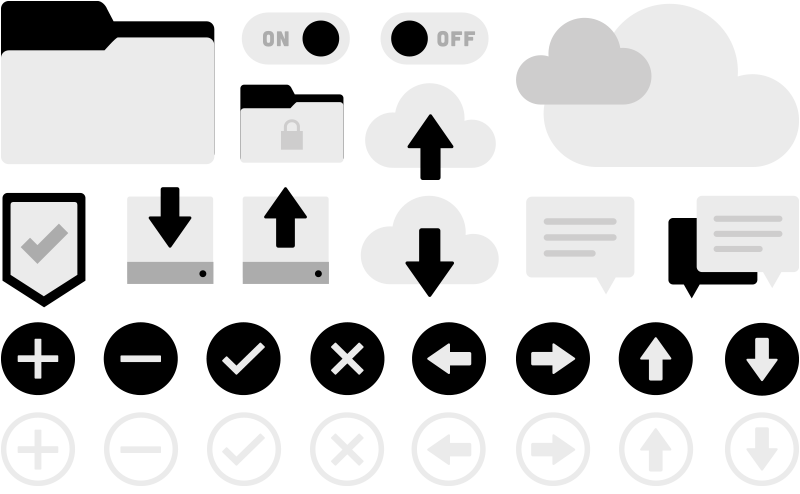 Fonts, Add-Ons (actions, brushes, etc), and other installable items may only be installed on a single computer, but can be used in multiple projects. 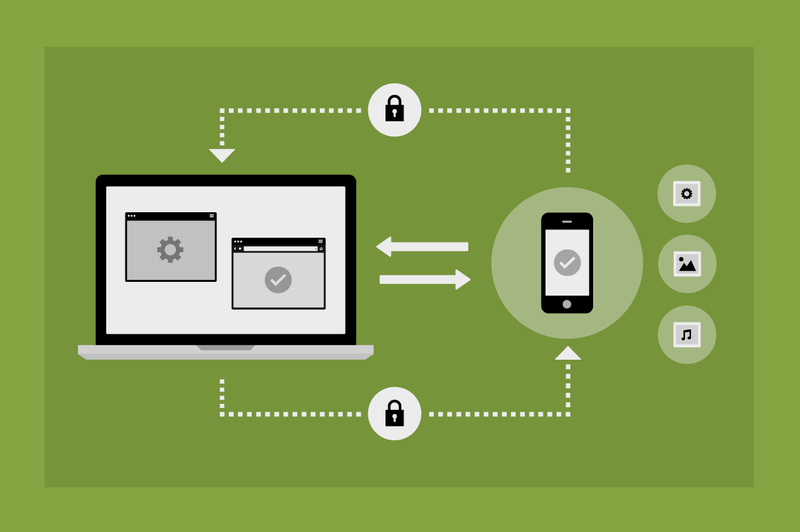 Use a purchased icon set as functional icons in your app, such as button icons. Use a purchased icon set as artwork that enhances actual gameplay in your app, such as the birds in Angry Birds. 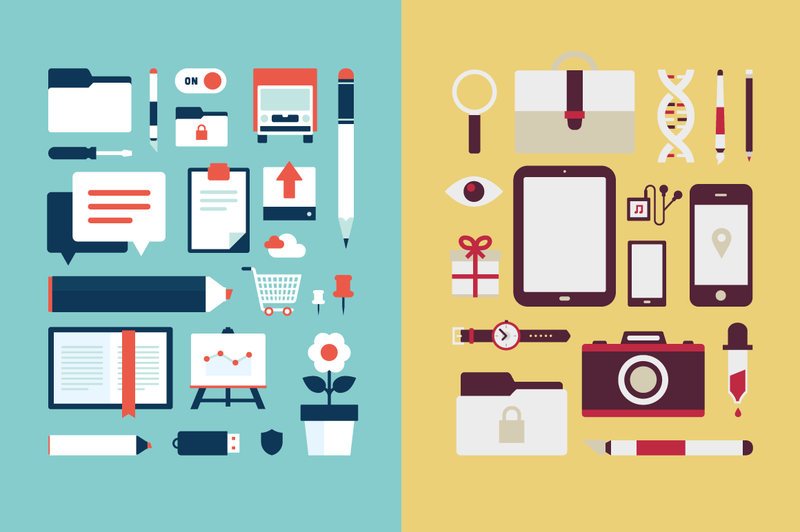 Use a purchased theme for your own personal blog or a client website. 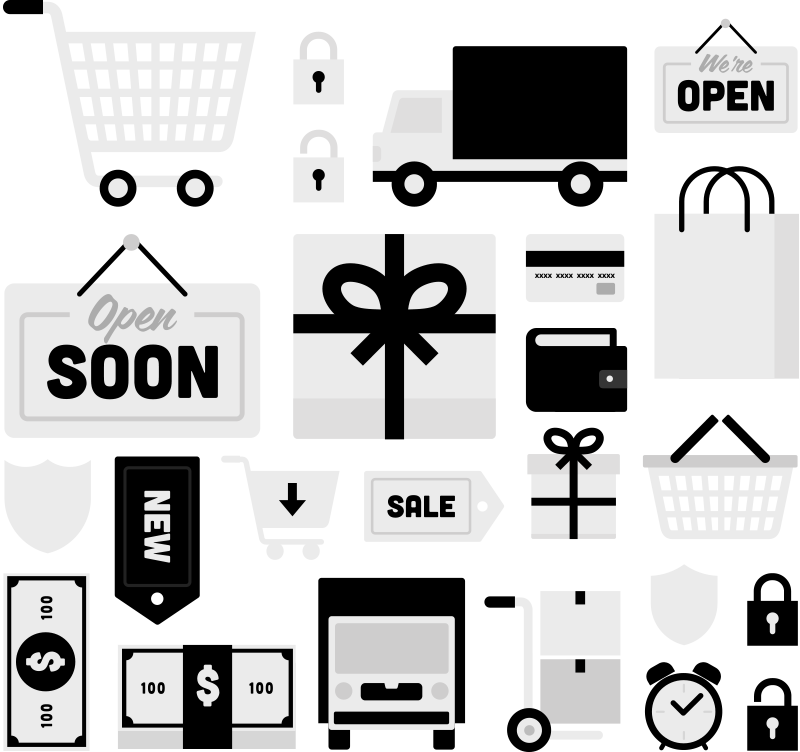 Offer a purchased theme to users of your hosting or blogging service (even for free). Use a purchased font to create a logo for a client. Distribute the purchased font with the logo. Use a purchased logo in a website for yourself or a client. Include the purchased logo with a website offered for sale or distributed for free. Convert a purchased website template to an HTML website or theme for yourself or a client. 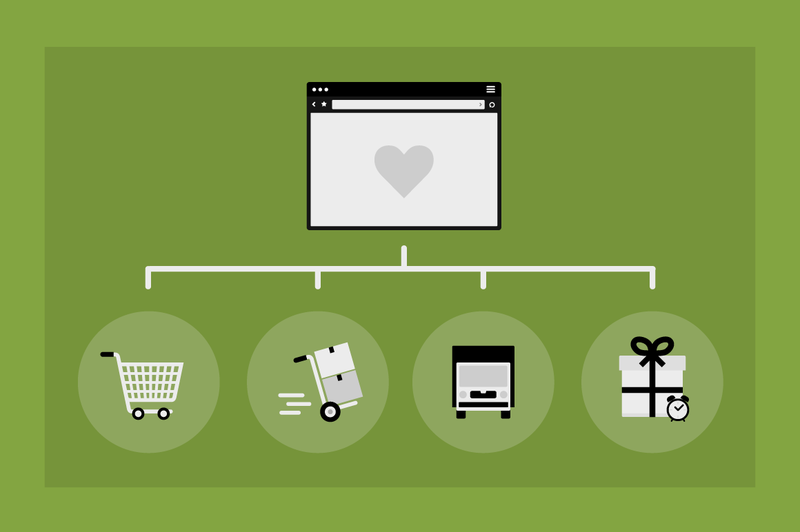 Convert a purchased website template to a theme to sell or distribute for free. 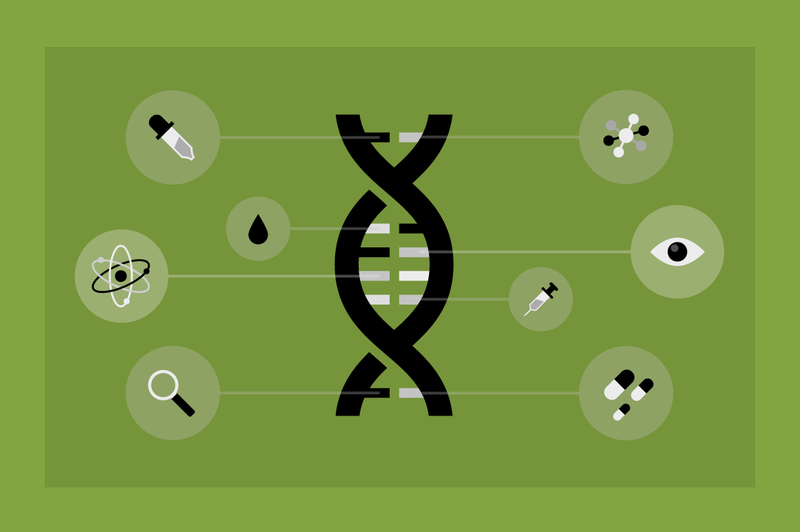 Portions of some products may be covered by an open source software license such as the GPL (GNU General Public License). In these cases, any portions of the product not covered by an open source license will be covered by this license. If you're still unclear about what is or isn't allowed under the SimpleLicense, please respect the creator and contact us. Please answer the simple question below. © Copyright 2014 Cristian Bogdan Rosu, Catalin Mihut.